Delta County is in the process of updating Land Use Regulations with a focus on finding common ground around the appropriate regulatory tools and processes that will support economic investment, protect what we love about living here, and respect property rights. Please join us at our quarterly breakfast meeting for a land use regulations update, and some lively conversation on how we can create an open and welcoming business environment. 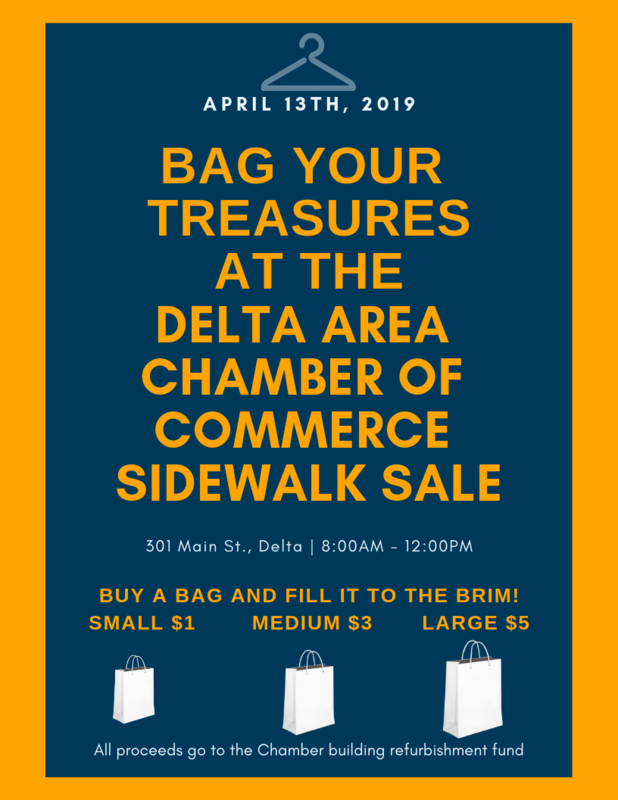 Delta United Methodist Church Fellowship Hall, 477 Meeker St. Admission and Breakfast are free. RSVP is required so we may make sure to have enough food for you. Make your reservation by clicking here. 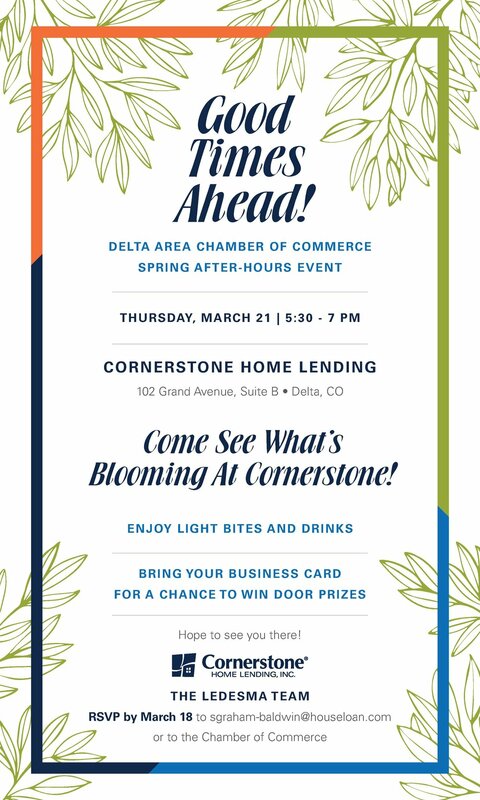 This month's Business After Hours is March 21st, and is Hosted by Cornerstone Home Lending. Join us to get to know other entrepreneurs, area resources, and to build collaborations!